italian adventurer and explorer, was born in a little village of the North East Alpine Region Friuli. 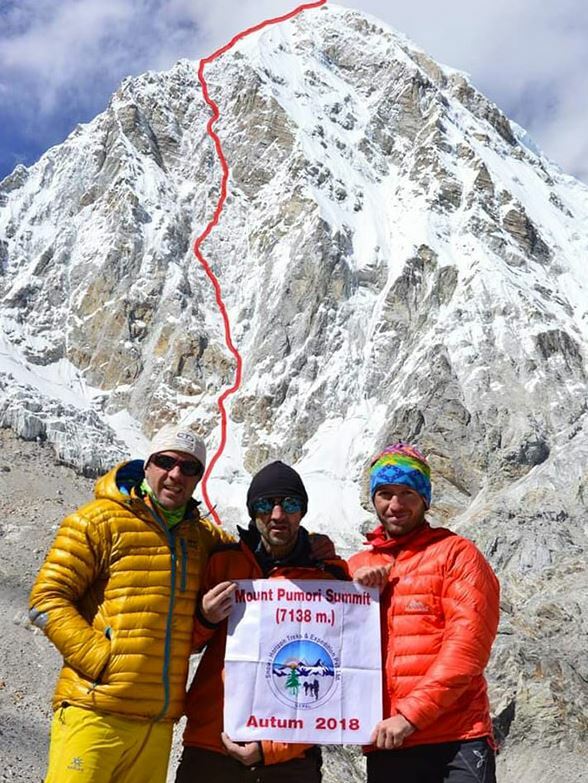 The Romanian trio made up of alpinists Romeo Popa, Zsolt Torok and Teofil Vlad has opened a new route on the South East wall of the Pumori, the iconic 7161 meter peak that overlooks the Everest Circus. 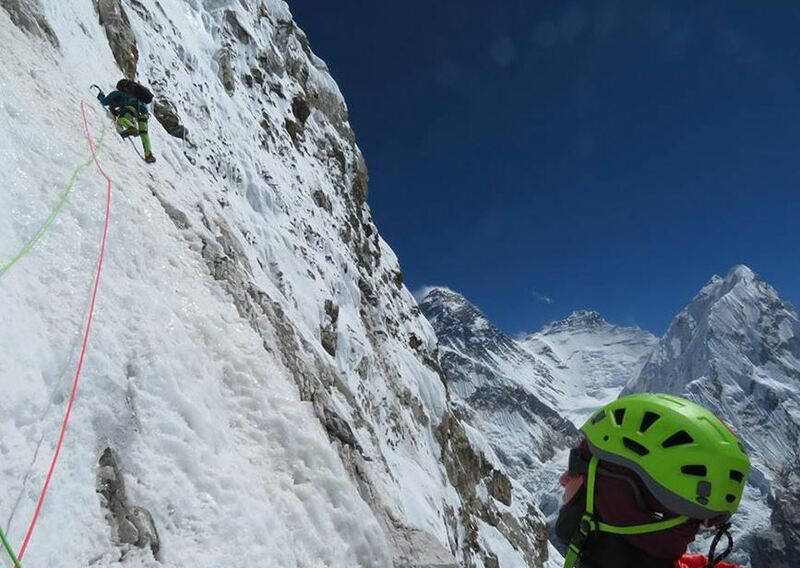 The new route, very cool for logic and sustained difficulty, is mainly on ice with some mixed climbing difficult to protect; it run for 1100 meters, reaching the summit ridge at 6700. 5 necessary bivouacs, three of which on the wall and the last two on the ridge; a day of rest the first, then the second day the final attack, which occurred facing winds up to 100 kmh. 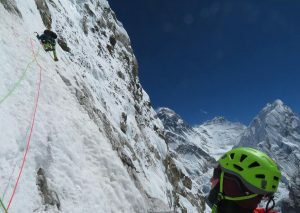 The descent took place 1000 meters of rappelling along the west wall. The difficulty has been classified as AI 4, R (the degree should be in Romanian system, indicates a medium difficulty like D type , French reference ). 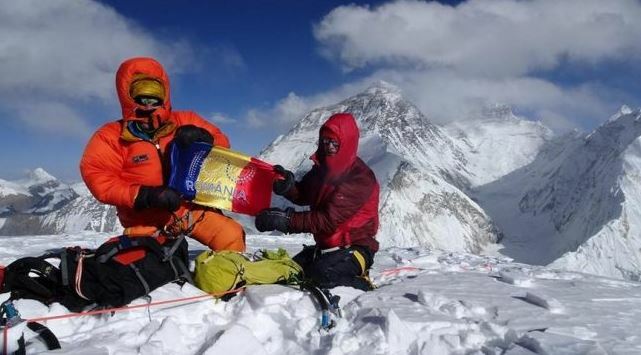 David Lama has realized the dream, long pursued, to climb the Lunag Ri (6905 meters), and he did it alone: after the famous 2 attempts in duo with Conrad Anker, the last of which ended with a dramatic retreat following a heart attack that affected Conrad. 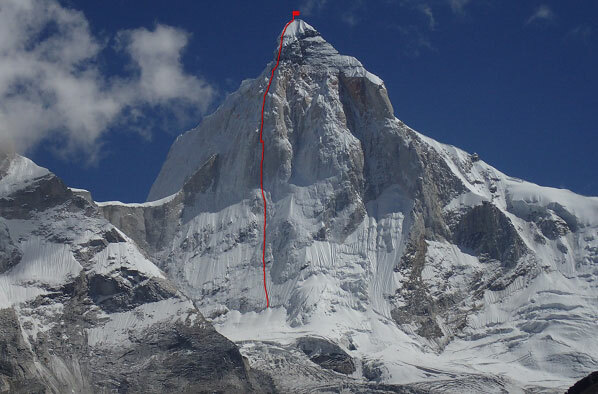 For now, we do not know the details of the climb, which theoretically should be the completion of previous attempts, with ascent on colouir running the base in the center left of the photo, then along the ridge up to the summit. Between the end of summer and the first month of Autumn 2016, the high altitude mountaineering has experienced a withering period of extraordinary climbing in Nepal, India and China. 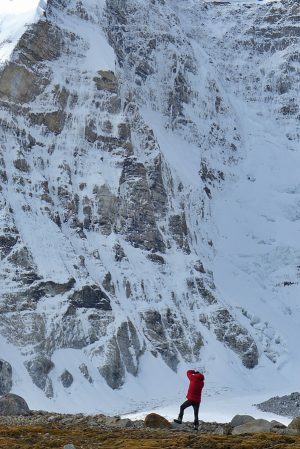 The common characteristics of very different climbs are small teams,alpine style, the search for aesthetic lines, in difficult mixed terrain, with a style and an ethic that recall the golden age (thanks to Stefano Lovison for this happy synthesis) of the 80s and ’90, a new route vision on steep and technical lines. Direttissima “Moveable Feast” Sergey Nilov, Dmitry Grigoriev and Dmitry Golovchenko (RU). North Buttress thalay sagar, 6904 meters, 1600 meters long, 1200 elevation, averaging 62 ° tilt and 71 ° Average wall – 09.15.2016. New way with some common parts with previous streets, is plumb. 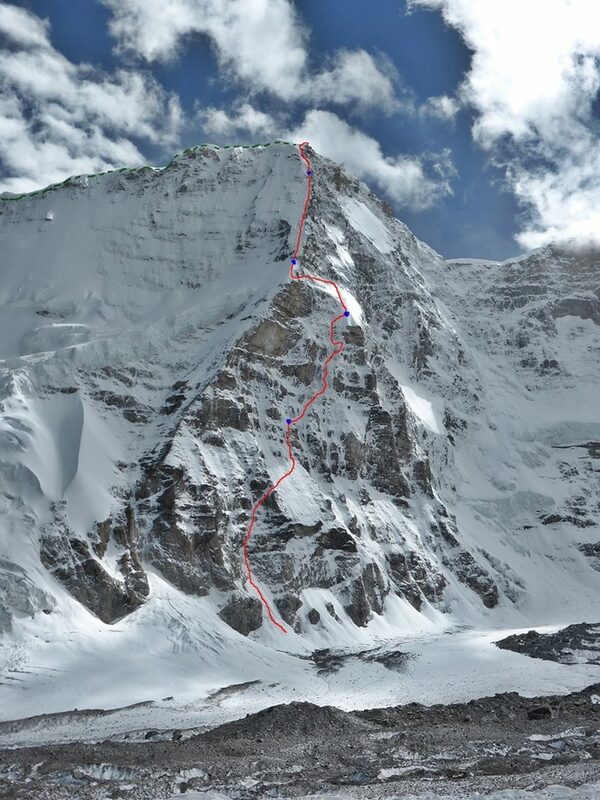 They didn’t use a portaledge, only a tent, so this may be aconsidered first alpine style ascent. 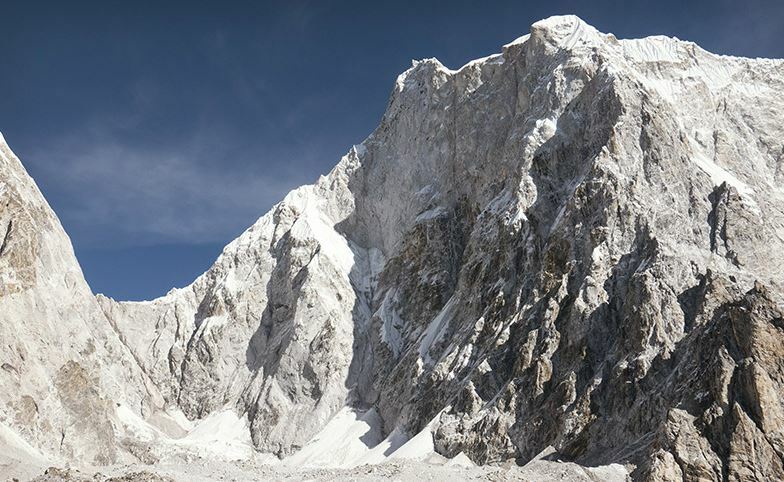 K2 and Nanga Parbat : good weather is coming ?